With this extract, rules can be extracted from a particular cube or defined directly in Jedox Integrator. 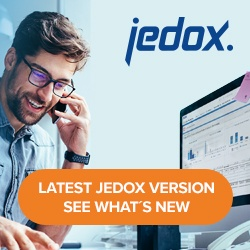 Manual Definition: Each rule must be defined as in the Jedox In-Memory DB, with the rule definition, an optional comment, and an active parameter (true/false). The latter indicates whether the rule should be activated or deactivated after the load. Extract from Cube: The Jedox In-Memory DB connection and the cube from which the rules are to be extracted must be entered. Note: in the case of a Manual definition, you can write a rule in the Rule extract. It is important to use the correct syntax used by the Jedox In-Memory DB Server. [‘Turnover’] = C:[‘Units’] / 100. If you use this as a source in a rule load with INSERT mode, then the rule will be added as a new rule, because it is not the same as in the Jedox In-Memory DB. Therefore, it is better to create the rule in the Rule Editor and then copy the definition with correct syntax to the Rule Extract.